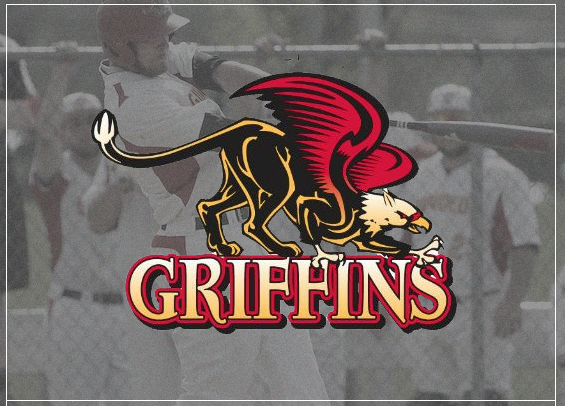 Few Philadelphia-area baseball programs can point to success on the diamond over the past two decades quite like Gwynedd Mercy, and now the Griffins are in a new conference and again favorites for a potential run deep into the postseason. "We've got big expectations, especially with the guys we have returning," said Griffins head coach Paul Murphy. Murphy himself is an icon in the college baseball scene in the Philadelphia region. The 2019 season will mark his 21st season and he's been the lone Griffins head coach dating back to the program's inaugural year in 1999. He's also led the club to the postseason in 18 of the past 20 seasons. That trend is likely to continue this season as every starter from a year ago returns this year for the Griffins, and those guys were fantastic in 2018, leading the team to a 21-14 mark and a spot in the CSAC Championship. Offensively, Gwynedd Mercy expects to rely on seniors Ryan Keen (.349, 15 2B, 25 RBI) and Dave Tatoian (.347, 34R, 7 HR, 28 RBI) as a one-two punch in the top portion of the order. It's arguably the best offensive combo in the region. "Dave is the best hitter I've ever seen," said Murphy. "Everybody pitched around him last year, and he still put up awesome numbers." Along with Keen and Tatoian, the club welcomes back senior outfielder Jason Mulvey who missed the majority of last season after suffering a wrist injury on a diving play in a late-February contest against The College of New Jersey. "Him coming back is going to be massive for us," Murphy said. "He's a catalyst for us. He can hit to all parts of the field, he's a great all-around hitter, and he brings speed." On the mound, senior right-hander Nick DeRitis (2-2, 4.40) will likely lead the rotation. He dealt with Tommy John surgery during his sophomore season and now appears to be back to full strength. Junior righty R.J. Boyle (4-1, 3.60) is also healthy after missing some time last season with a hernia. "He's been phenomenal in camp early on," Murphy said of Boyle. As for the bullpen, Tatoian is expected to continue serving as a reliable arm in the relief. He was clocked as high as 92mph last year and was third on the club in appearances with 12. He posted a 2.92 ERA to go along with 15 strikeouts over 12 1/3 innings. Junior right-hander Liam Sullivan will also play a key role in relief after posting a 0.89 ERA last season over 20 1/3 innings. This year the club will compete in the newly formed Atlantic East Conference alongside local rivals Cabrini, Immaculata, and Neumann. The program has also begun executing on plans for a new $3 million stadium to be built on the grounds where their current field sits. "Good things are happening here," Murphy said. That's a streak that'll likely continue through 2019.